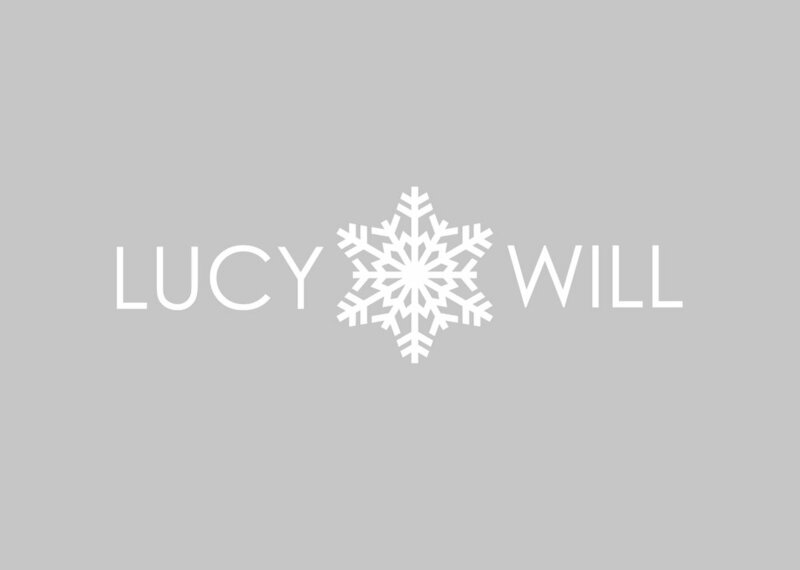 When Lucy and Will got in touch we were very excited as they were having a winter wedding and wanted a sophisticated winter theme. 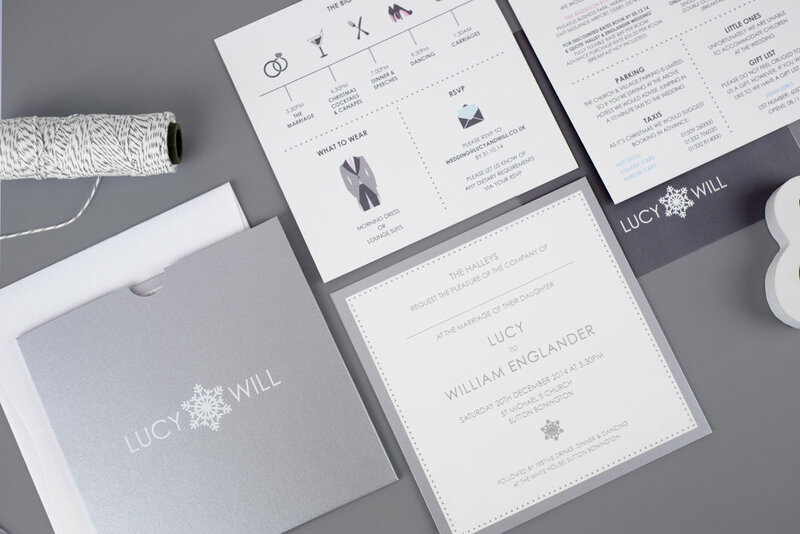 We created a classic, elegant design with some contemporary twists, for example, the order of the day icons gave a nice contrast to the crisp clean typography and the hints of two key colours throughout supported the cool greys and silvers on which the design was based. 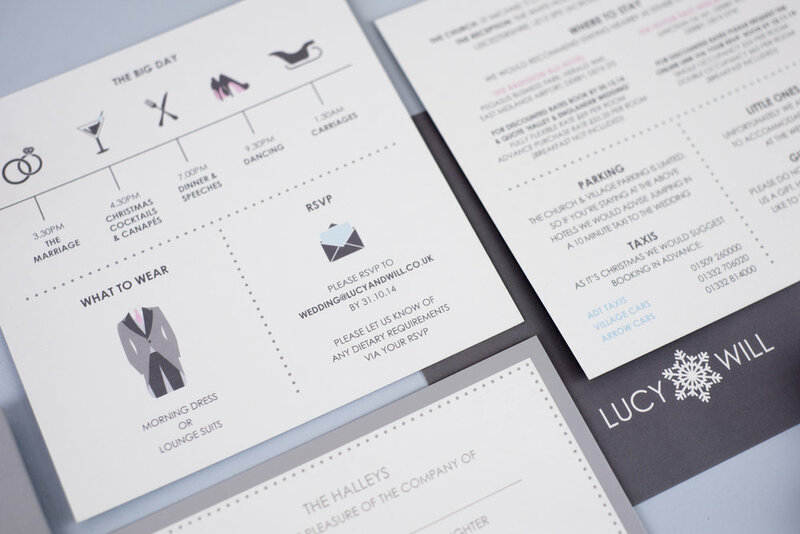 For the main invitation we duplexed the board so it was nice and thick at 700gsm, giving it weight and adding to it's grandeur. This was then foiled with an elegant silver/grey which gave a beautiful tactile and high quality finish to the end result. 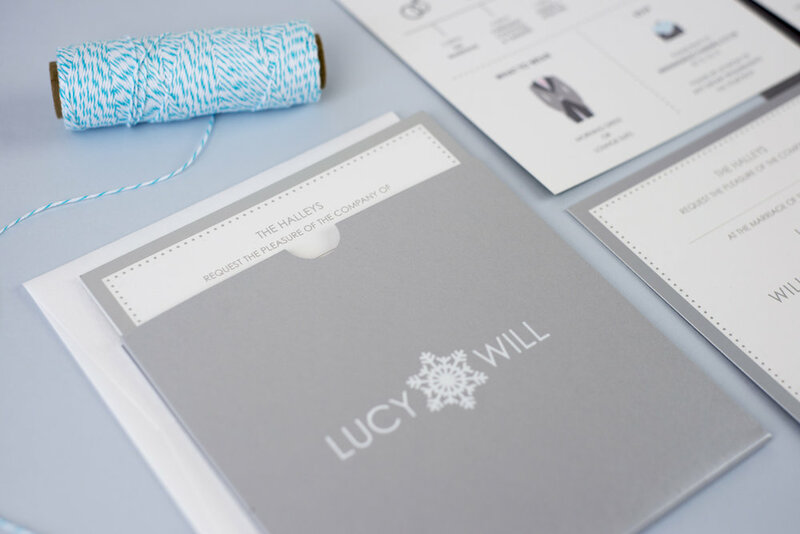 This and the further information card then slotted into a bespoke wallet made from a shimmering silver/grey card which was foiled with the Lucy and Will stamp to complete the overall look, giving a wow factor from the moment you open the envelope.